Looking for honest advice about roofing? Here, homeowners are sharing their personal experiences and advice for choosing the best type of roof for your house, how to solve a variety of roofing issues, even how to tell if your roof is environmentally friendly. 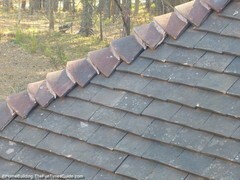 By using synthetic slate roof shingles that are made from recycled materials, you can earn LEED credits. 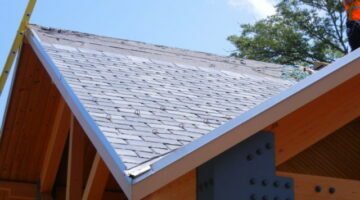 EcoStar Majestic Slate roof tiles are one example. Choosing a clay tile roof presents a challenge because there are so many different styles, colors, types and grades. This guide should help you decide how to choose the best clay tile for your roof. Installing a slate roof on this newly constructed Victorian home was no small feat. They used 100 square of roofing tile to complete this project including hand-cutting all of the slate at angles for the turret. Layering asphalt shingles over existing roof shingles will save you a little money up front but there are a few cons to be aware of before going this route. 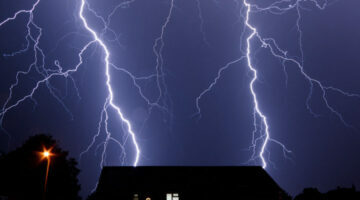 You have a roofing warranty to concern yourself with first and foremost, and, secondly, structural integrity to consider. Sustainable roofing choices are more abundant than ever before. 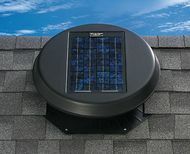 Spend a few minutes finding out what is best suited for your green roofing solution.